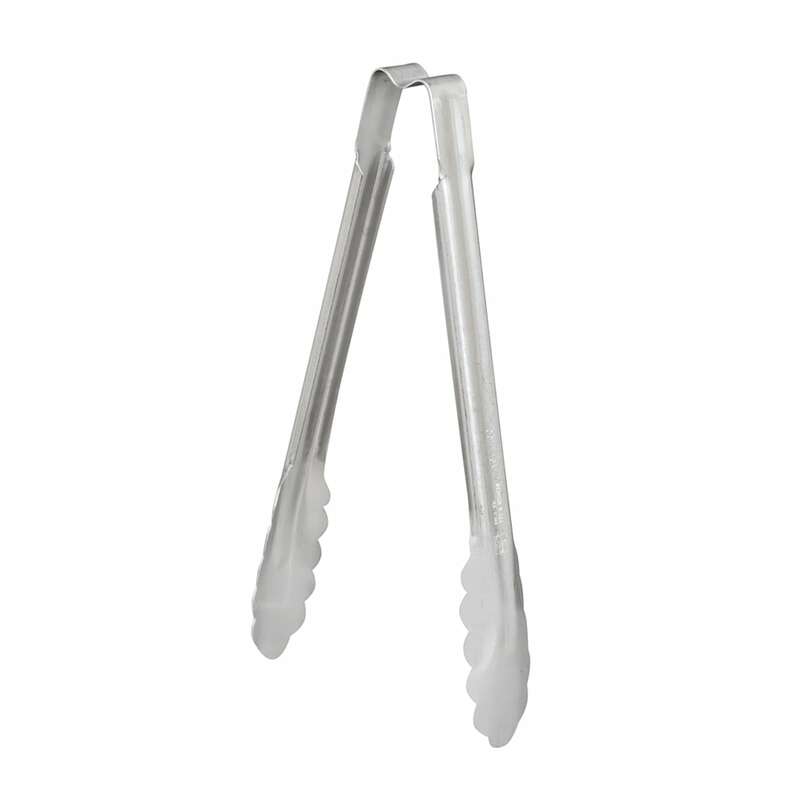 The Vollrath 4780910 utility tongs have concaved ends and scalloped teeth, efficiently grabbing product in prep or service areas and on buffet lines. The stainless steel construction provides strength and rust resistance, while the springless design facilitates cleaning by eliminating crevices. 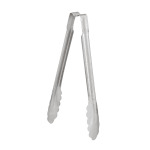 The handle on this utensil is designed to promote user comfort.